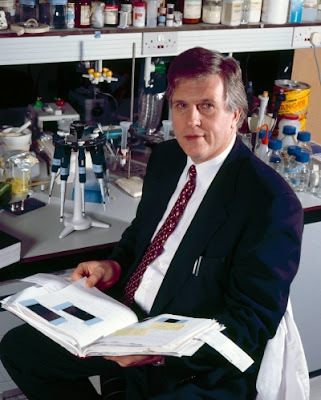 Pioneers of genome size: Prof. Michael D. Bennett. Prof. Mike Bennett is well known in the genome size community for his work in conducting and compiling genome size estimates in plants and as the originator of the “nucleotypic theory” in which DNA content exerts a causative influence on nucleus and cell size and is therefore of adaptive significance. He completed his undergraduate degree in 1965 in the Department of Agricultural Botany at the University College of Wales, Aberystwyth, UK, where he first learned to estimate nuclear DNA contents. He earned his PhD in 1968 under the supervision of Prof. Huw Rees, also in Aberystwyth. Prof. Bennett in the lab, circa 1996. Part of his PhD research involved investigating the work of Pearce (1937, Bull.Torrey Bot. Club 64: 345-355) who in 1937 had reported how chromosomes of Viola conspersa varied in size by over 300% depending on the amount of phosphate in the culture solution. One of Prof. Bennett’s roles was to investigate whether such changes in chromosome size were also accompanied by changes in genome size. In an early paper arising from his PhD (Bennett MD, Rees H. 1967. Natural and induced changes in chromosome size and mass in meristems. Nature 215: 93-94), he showed that in rye (Secale cereale) there was no change in genome size despite changes in chromosome volume of 50% depending on the phosphate level. Prof. Bennett’s first post-doctoral fellowship was with Sir Ralph Riley at the Plant Breeding Institute, Cambridge, UK, looking at the mechanisms of meiosis in cereals. Part of this work involved measuring the duration of meiosis in a number of cereals. He correlated this with genome size to produce the well-known paper (Bennett MD. 1971. The duration of meiosis. Proceedings of the Royal Society of London B 178: 277-299) in which he coined the term “nucleotype” (cf. “genotype”) to reflect”that condition of the nucleus [most notably, DNA content] that affects the phenotype independently of the informational content of the DNA”. He also carried out large scale analysis of relationship between genome size and minimum generation time (Bennett MD. 1972. Nuclear DNA content and minimum generation time in herbaceous plants. Proceedings of the Royal Society of London B 181: 109-135). It soon became evident that there was a need to collate widely spread plant genome size data into one accessible source, and so he began producing the lists of DNA amounts (the first one in 1976, followed by 7 others since then) which together contain data for over 4400 angiosperm species. These papers have been cited more than 1,500 times. This was later followed by the electronic databases (first release of Angiosperm DNA C-values database in 1997, followed by the Plant DNA C-values Database in 2000). In 1987, Prof. Bennett became Keeper of the Jodrell Laboratory at the Royal Botanic Gardens , Kew, where he remained until his retirement in 2006. Throughout his scientific career, Prof. Bennett has authored and coauthored more than 320 publications, many of which are on genome size. 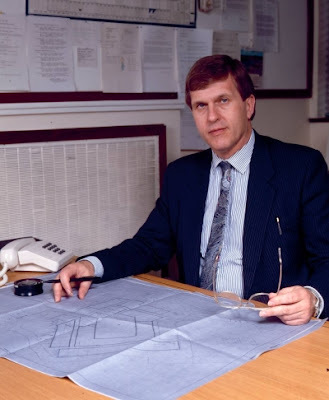 Prof. Mike Bennett in 1988, soon after becoming Keeper of the Jodrell Lab at Kew. I first met Mike at a the 2003 Genome Size Meeting at Kew, and it has been my privilege to work with him on a few projects since that time, including having him author a chapter in The Evolution of the Genome and coauthoring a paper about our genome size databases published earlier this year. 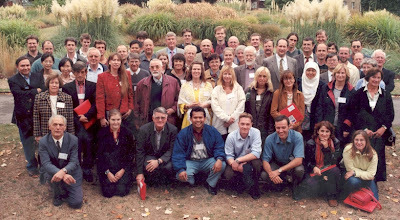 Group photo at the 2003 Genome Size Meeting at Kew. In light of his recent “retirement” (no one who knows him believes for a second that he will stop working, in fact he estimates that he still has at least another 50 papers to write), it seems fitting to have him as the first person profiled in the Pioneers of Genome Size series. Congratulations on a job well done, my friend, and cheers to the future. Gecko genome size and cell size.